About Hung N. Message Hung N.
He was fantastic. Knowledgeable and very fun to hang out with. TOUR GUIDE RESPONSE: I really appreciated for your review and it's flexible. Many thanks! Hung. Hung was very punctual in email response He was flexible and pleasant and adjusted the tour to our pace and interests. He could not have been more helpful. We had a most enjoyable afternoon seeing the highlights of Ho Chi Min City. TOUR GUIDE RESPONSE: I really appreciated for your review and it's flexible. Best wishes from Saigon! Hung. Hung gave a fabulous tour of the Mekong Delta area. We thoroughly enjoyed spending the day with him, as he showed us the various sites of this region, which is where he is from! We were a group of 4 from a cruise ship and he was very careful with our time. The driver and van was immaculate and well air conditioned, the selection of sites was great fun, we had a delicious lunch at a beautiful location. I would highly recommend Hung for anyone visiting in this region. He is a great guide!! TOUR GUIDE RESPONSE: I really appreciated your review about your tour at my hometown and it's flexible. Many thanks! Hung. Rose was the perfect guide. She tailored our tour exactly to our requests. She clearly loves her country and city and is proud to show off its sites and highlight its history. She took us to some off the beaten track places to introduce us to her favorite local foods and was accommodating along they way with any changes we requested. She also went out of her way to make arrangements for some purchases we wanted to make and even followed up after the tour to provide us with some photos she took. Hung is a wonderful, entertaining, knowledgeable tour guide. He and his driver took great care of us and showed us some terrific non touristy sights. We have recently returned from our first trip to Vietnam, and we used Hung N as our tour guide in Ho Chi Minh City. From our first contact with Hung, he worked with us to design a tour suitable to our wants and interests. He kept in contact and ensured that we were happy with all his arrangements. 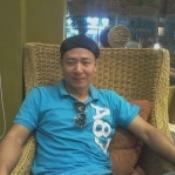 Hung N is very knowledgeable, reliable and hospitable. Our time in his city was educational, enjoyable and fun. Tours by Locals is a great concept. TOUR GUIDE RESPONSE: I really appreciated your review about your tour and it's flexible. Many thanks! TBL and Hung N.
We had a great day touring and shopping. This was a private tour and it fully met our expectations. Hung was an outstanding guide, and just a great travel companion. His knowledge and enthusiasm added greatly to the sites. 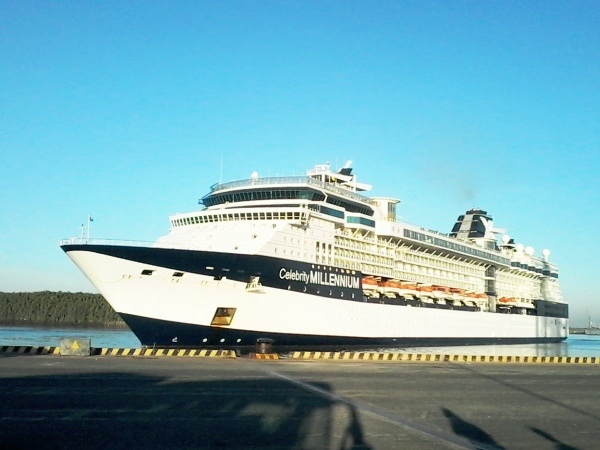 We were traveling on the cruise ship Holland America Westerdam, and Hung met us as scheduled in port with no issues. We visited all of the historic sites in Ho Chi Minh city, and Hung was knowledgeable and insightful in his commentary. Highlights of the tour were a tricycle ride through the market area, and lunch at a quiet village restaurant. We had a great time. TOUR GUIDE RESPONSE: Thanks so much for your kindness! Best Wishes! Awesome tour of city highlights! Hung was friendly and tour was planned out perfectly. Hung was very friendly and wonderfully flexable and helpful. He made it a great trip Gary W.
Hung was an absolute pleasure to spend the day with in Saigon. His insights regarding the history and culture of the area were interesting and informative - and the coffee was great! Recommend Hung highly. Hung was wonderful. Very knowledgeable and friendly and even helped us figure out an issue with our airbnb. Would definitely recommend and would hire again. We had a great time touring with Hung. He showed us all the sights and gave us a lot of insight into the history and culture of Vietnam. Hung was an exceptional guide. He went above and beyond to ensure that we were accomodated in every manner. Our Mekong Delta tour was fabulous. We encountered other tour groups (from our Viking ship) and Hung delivered much more than they got. He heard me say that I loved pho soup so he took us to his favorite pho restaurant in Ho Chi Minh city, followed by coffee in a beautiful cafe. That was not part of the tour, but he personalized it for us. He is the BEST!!! Hung is an enthusiastic tour guide who loves his city and country. My husband and I spent the day with him touring Ho Chi Minh City by car and by walking. Calling us his Uncle and Aunt, he presented a human side to this fascinating city. Additionally, his stories are filled with humor and joy. We would hire Hung as our guide again in a heart beat. Hung was very informative and had a great sense of humour. Thoroughly enjoyed our time with him today and learned a lot from him on our first visit to Saigon. And we enjoyed his singing after our visit to Green Land Park. TOUR GUIDE RESPONSE: Dear Mr and Mrs Ray, I would like to thank you so much again for your glowing review about the tour and me. Such a wonderful day with lots of laughing! Thanks again for your kindness! All the best! Hung. We booked two tours with Hung and he was very gracious, knowlegable and enthusiastic. A 10 out of 10 score. He had a different driver each day and their vehicles were spotless. Hung is a fabulous guide. His English is excellent and he is a wealth of information. He was able to tailor the guide to our needs and requests. We feel most fortunate to have had him as our introduction to Vietnam. Top notch! Hung provided Janice and I with a two day tour of Saigon. Saigon is a very busy city and we were comfortable with Hung. A Mekong River trip included a gondola ride down the river. Very good. Upon returning to Saigon an evening walk in the city was done before we returned to the ship. TOUR GUIDE RESPONSE: Dear Sir and Madam, I'd like to thank you so much again for your kindness! Such the wonderful days with lots of nice memories! All the best! Hung. Hung was a dedicated and thoughtful guide who went out of his way to provide us with information and great conversation. He modified the tour to our interests, took us to a lunch location with the types of food we were interested in trying and he was super knowledgeable about the history of the city and the country. Overall, I cannot recommend a better guide for this tour. Thank you Hung! Our group of 11 really enjoyed Hung's tour. It was a bit chaotic after we got off the ship trying to find the port gate as Princess Cruise staff keep giving us wrong instructions. We were finally able to relax after making it out to the gate and saw Hung standing there holding a sign with my name on it and had a mini-bus to comfortably accommodate all of us. Hung was very friendly with a nice sense of humor, we saw a lot in one day with Hung's extensive knowledge of the city. We highly recommend Hung. TOUR GUIDE RESPONSE: Dear Mr and Mrs Ka-khy, I am so happy to end the local year with your group tour. It is wonderful day with lots of laughing! Thank so much for your kindness! Best wishes! Hung. Thanks Hung, for the wonderful tour. Lunch was the highlight. Hung was very accommodating and wanted to please. He provided us with a very enjoyable tour. In addition to the nice lunch provided, Hung purchased drinks including an excellent Viet Nam Coffee. There was an initial hiccup in that Hung had gone to another berth at the cruise port and was 20 minutes late in picking us up. The lack of mobile phone connectivity caused some angst. Otherwise the tour was very good and enjoyable. Hung was fantastic, from beginning to end! His running commentary was interesting and he made sure we made all the requisite stops to see the highlights of HoChiMinh City. He selected the excellent Chateau restaurant for lunch, a unique gift shop off the beaten track for souvenirs, and a stop for "real" Vietnam coffee at a lovely resort beside the river. Knowing of my worry to get back to the ship in time for sailing, he ensured we made it in time, despite the traffic. All in all a first-class guide! With so little experience, Hung N was able to provide an interesting picture of Ho Chi Minh. We loved being able to shop at the workshop at which several disabled people worked. We had a great time with our tour guide Hung. He has sense of humor. He took us to local Vietnam restaurant and explored the city of Ho Chi Minh. At the end of the tour, he gave us souvenir to bring back him. We will definitely use him again. Would never have gone to any of the restaurants without guidance. Tried some amazing food. Only fault is we could have done with less driving and more tasting. Hung is the best host!! Excellent English, funny, educational, kind and generous. And he is from the Mekong Delta so a true local! This trip was the highlight of 2 weeks. We did so much. Hung greatly undersells this tour and he went waaay beyond our expectations. We did so much in our 10 hours and his timing and strategy allowed us to miss seeing other tourists. I will be recommending this particular tour and Hung as a host for all our friends. He's spoiled us and it does not get better than this! TOUR GUIDE RESPONSE: Thanks so much for your kindness and for sharing your experience about tour at my home village. Best Wishes! Hung is enthusiastic, and gives you a lot of background about Saigon, in addition to the sights, smells and tastes of street food. He's very knowledgable and eager to please. TOUR GUIDE RESPONSE: I am VERY HAPPY to see your kind review. Thanks all. Hung was a fantastic guide - Very enthusiastic and nothing was too much trouble. He was very knowledgeable and passionate about his culture. The car the was immaculate and we had a lovely day. Thank you Hung! TOUR GUIDE RESPONSE: Special thanks for your super nice review. Best wishes! Hung. Hung was professional and provided thoughtful commentary throughout the tour. Our transportation was very comfortable. Hung incorporated everything that we wanted to see and even helped us get the best prices for what we wanted to buy ( some were special requests that required extra attention). Hung and our driver were very patient with our need for only walking short distances and always made sure we had cold water. He planned a wonderful lunch within our restrictions. Very happy and highly recommended. TOUR GUIDE RESPONSE: I am very appreciated for your rating. Many thanks! TOUR GUIDE RESPONSE: Thank so much for a 5* rating! Best Wishes to you!